If we are going to use a passive modality, we want it to work so we use Deep Tissue Laser Treatment. Therapeutic ultrasound has been a mainstay of most PT practices, but has been shown to be only as effective as a placebo. That is just not good enough. Deep Tissue Laser, also called low level laser, is basically light therapy. The acronym LASER stands for Light Amplification by Stimulated Emission of Radiation. This means that laser light, because it is electronically amplified and stimulated, produces powerful waves of coherent light. Coherent light, unlike normal white light or LED (light-emitting-diode) light, creates light waves that are “in-phase,” giving them more activity than LEDs, where the light waves are more random. Prior to manual work, laser softens tissue, making tissue release easier. When applied post treatment we have found that patients experience minimal post treatment pain. Reduces pain by increasing production of endorphins. Reduces inflammation by suppressing enzymes that contribute to swelling, redness, and pain. Enhances lymphatic drainage, which speeds healing. Releases tight muscles that create chronic pain, joint problems, and decreased mobility. Speeds up bone repair by stimulating osteoblastic production. We have recently upgraded to a powerful 9W laser by Liteforce and are seeing great results. Laser is a great adjunct to physical therapy, or as a stand alone treatment. Call today if you would like a laser consult with one of our Physical Therapists. Call today and Book Now! 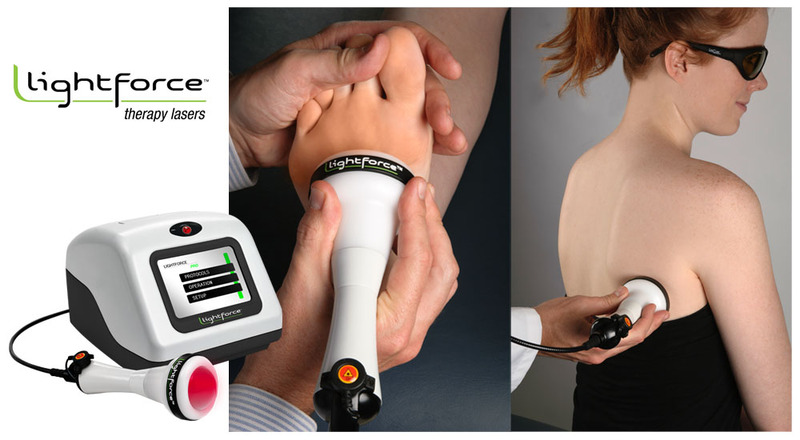 All of our practitioners are trained to use Deep Tissue Laser Treatments.